News from Jeu de Paume de Bordeaux: Things are shaping up! 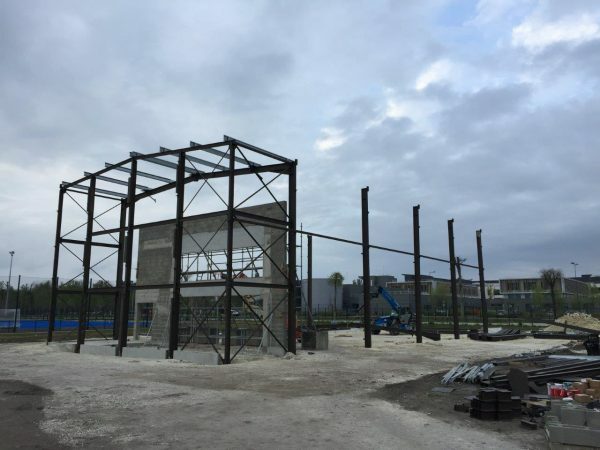 The opening is still planned for September 2019, we will let you know more soon. Many thanks to all of those involved in organising and playing in the pennant. Hopefully CURTC will manage to win next year. 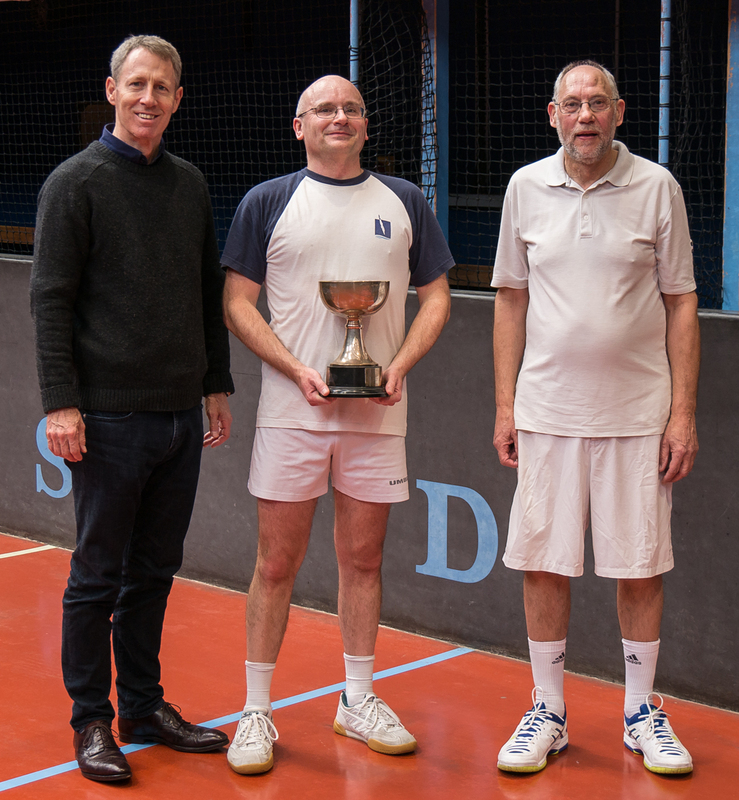 Congratulations to CURTC’s Ben Geytenbeek who followed up his 50s triumph on Finals Day here at the Home of Real Tennis last Saturday with a win in the National Tournament at Prested this weekend. Thanks to Jacqui Siu for covering the 30s and Ladies! 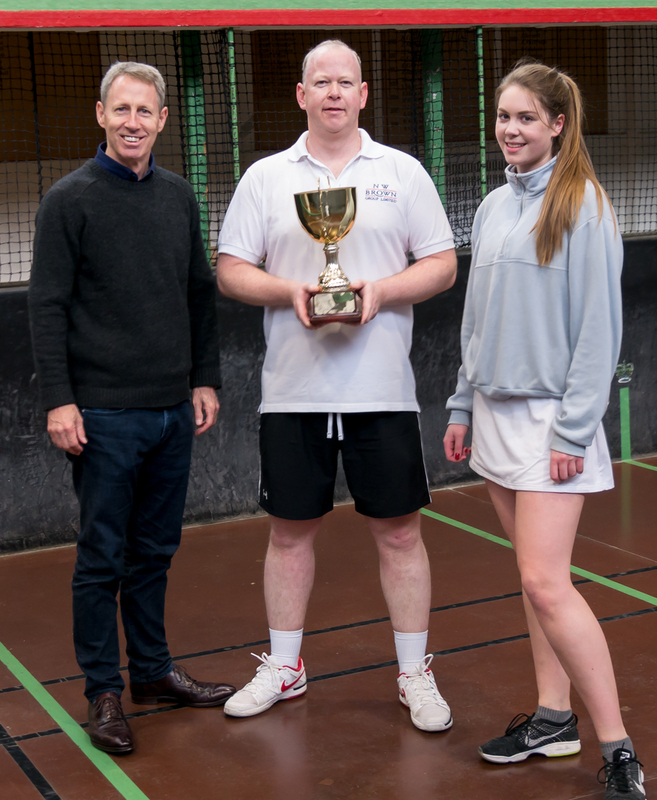 Months of real tennis tournaments culminated in the CURTC Finals Day Sponsored by Hannay-Robertson Financial Planning. Places on the honours boards in the Green Court Galleries were at stake. Play began on the Green Court with the 50s Category Final between Ben Geytenbeek and Michael Firth. The pair exchanged games early on, with Firth able to put the ball into places that Geytenbeek couldn’t quite reach. However, after a good service game at 4-all, Geytenbeek was able to step into another gear and find some extra momentum. Hitting the ball cleanly, he went through to win the match 8-4. Following them on the Green Court was the 70s Category Final between Elle Curzon-Green and Paul Fox, although both had crept down into the 60s since they qualified back in early December. Curzon-Green was unable to find her form from the recent Varsity match at Lord’s, while Fox was able to muscle everything back over the net at her. Fox raced off to a quick start, and while Curzon-Green started to fight back, Fox held on to finish the match 8-4. 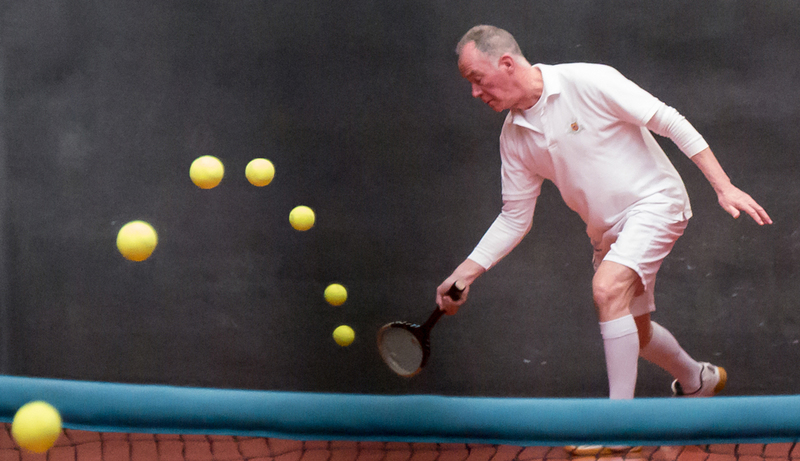 Over on the Blue Court, play started with the 40s Category Final between Jim Ludekens and Vix Harvey. Ludekens was a clear favourite going into the match, but Harvey threw everything she could at him. Her volley return of serve was excellent, but Ludekens covered the back of the court well, retrieving almost everything and going on to take the title 8-3. Both players would be back later in the day for yet more finals action. 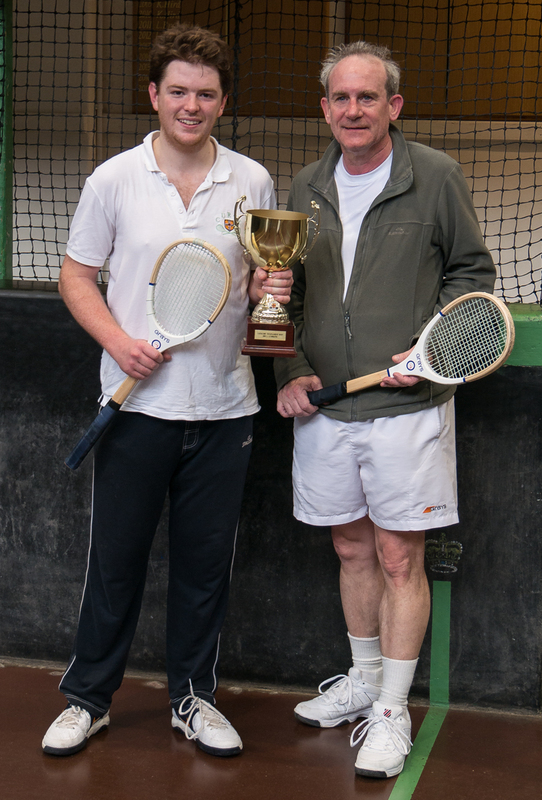 The next match was the 60s Category Final between Dave Isherwood and Tony Kennedy. 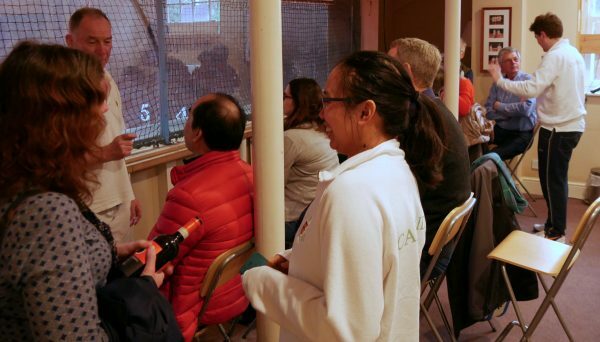 The upper galleries were packed with supporters for both sides spanning multiple generations. 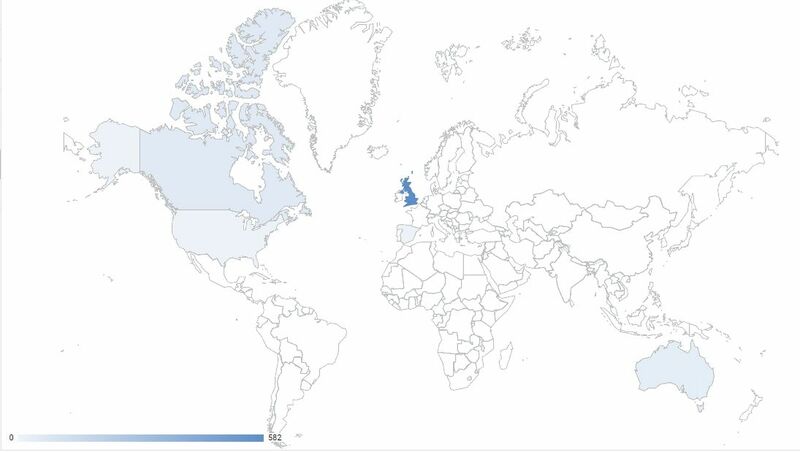 Whether or not the youngest fans were paying too much attention to the tennis was another question! The match was dominated by the service, as spin and variation from both players was key. In a hard fought match, ultimately Kennedy came out on top 8-5. Next up was the prestigious Graduate Cup Final. Richard Bowers was back in the final, having won the tournament in 2016. He was playing against first-time finallist Joe Zygmunt, whose supporters filled up the Cambridge dedans. The handicap was a respectable Rec 15/Owe half 15, so both players had a chance to be competitive. However, Zygmunt struggled to find the right length of his left-handed railroad serve, letting Bowers into the game with a few easy points each game. He was volleying very well, making Bowers run around a lot of the court to retrieve the ball. Ultimately though, Bowers was strong enough to seal victory comfortably 8-2. The last of the category tournaments was the 30s Category Final between Andy Smith and Mark Perriton. This was a battle between one player who likes to hit the ball hard for winners, and one player who can spend all day retrieving the ball from the corners. The first few games were long and tight, with Smith extending the points far longer than Perriton would have liked. 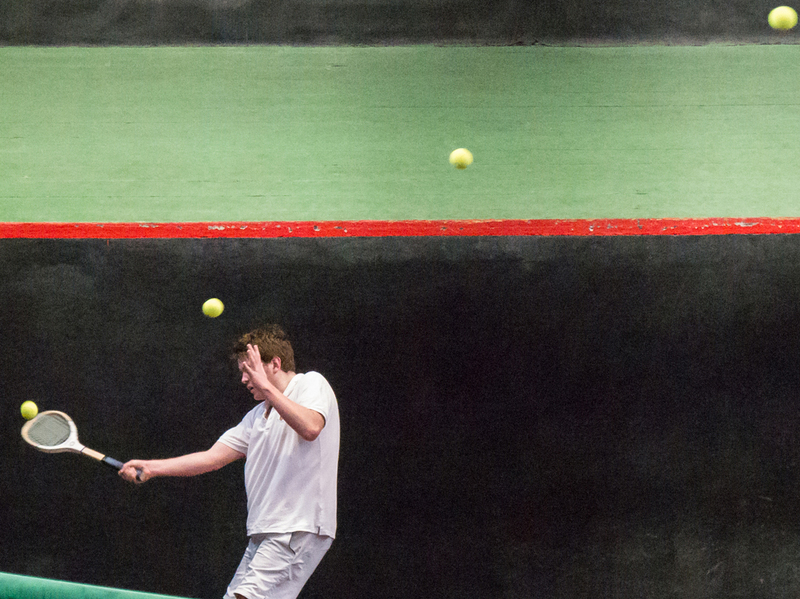 It was exhilarating tennis all the way through, but Smith held on for a comfortable victory. 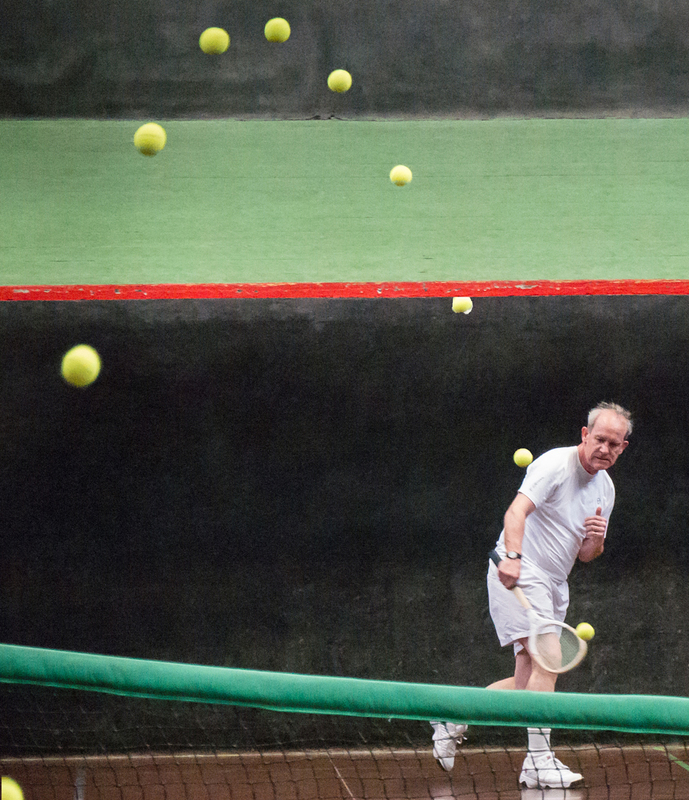 The final two matches of the day saw the players from the 40s Category Final in action again. The CURTC Ladies Championship Final was between 2017 winner Vix Harvey and defending champion Venetia D’Arcy. Both served well, but Harvey hit her targets well to take the first set 6-3. Harvey carried the adrenaline from winning the first set into the second, racing to a 4-0 lead. But D’Arcy fought back well, taking the set to 5-all as Harvey began to tire. But Harvey held onto her serve in the final game to take the championship 6-3 6-5. 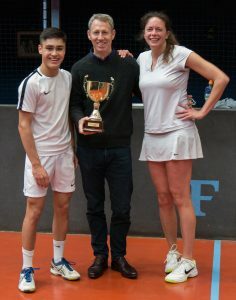 The final match of the day saw Jim Ludekens in action again in the Junior U18 Club Championship against Andrew Barker. Ludekens was able to hold on to his second championship of the day, comfortably winning 8-3.
and thanks again to our sponsor: Hannay-Robertson Financial Planning! Please come along to the club on Saturday (March 16th) to cheer on our worthy finalists. They deserve your support! 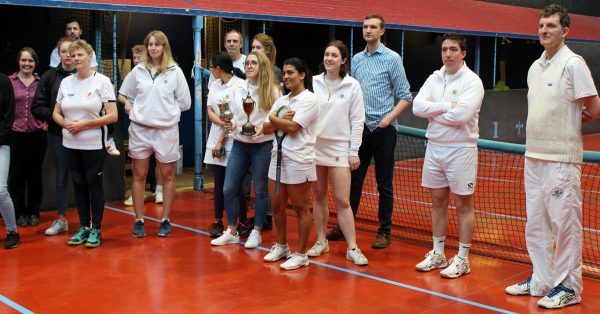 The Cambridge team faced an uphill battle at Lord’s on the second day of the Real Tennis varsity match. The day would see the women’s doubles and men’s singles matches. 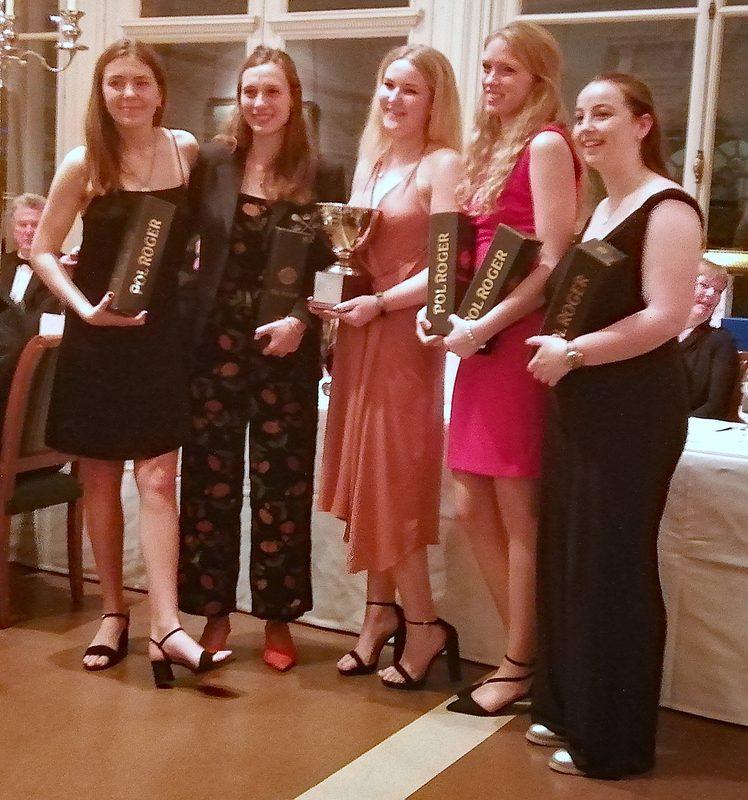 The first match was the women’s second doubles, which saw Sophia Lewis and Elle Curzon-Green for Cambridge against Natalie Barber and Lucinda Maxwell for Oxford. Maxwell played up at the net for Oxford, while Cambridge sent Curzon-Green forward. Cambridge had a slow start, with a few communication issues between the pair. No matter how hard they tried, they couldn’t keep it away from Barber, who was clearly the strongest player on court. Oxford served well, and Cambridge couldn’t find a return of serve into the corners. Oxford raced through to take the first set 6-1. Finding themselves 3-1 down in the second set, Cambridge started to rally. Lewis started moving her feet more, covering more of the court. Curzon-Green’s serves also started to trouble Maxwell. Lewis dominated the service end, punishing any loose shots. Cambridge won four in a row to be up 5-3 and a chance at taking the set. But Maxwell pulled out some of her best serves of the match, and kept Cambridge at the hazard end to bring it back to 5-all. Cambridge had chances in the final game, but couldn’t quite find the dedans, letting Barber steal the match with a fine shot at the grille, 6-5. 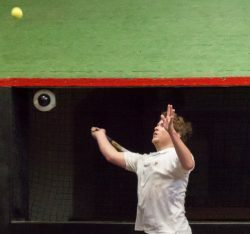 The first of the men’s singles saw Cambridge’s rackets import Ivo Macdonald against Oxford’s Harry Lawes. Macdonald benefited from some early poor serving to race ahead to a quick lead, slicing the ball deep into the corners. Lawes changed his serve, hitting a railroad from the centre line of the court. Slowly, he started to gain momentum at 1-4 down, pushing both of the next games to several long deuces. Macdonald needed seven deuces in the final game to take the set 6-1. The game had tightened, and it started to show in the second set. Macdonald had some luck with the help of the net cord, but Lawes was ascendant. He was serving tighter railroads, and Macdonald started overhitting his return of serve. The rallies were often tense, resulting in loud explosions from the crowd after most points. Nonetheless, Lawes was on a roll, winning five games in a row to take the set 6-3. The final set would provide some of the most exciting tennis of the day. Lawes continued his momentum, punishing every ball into the corners and retreiving well, quickly finding himself with a 4-1 lead. Finally, Macdonald slowly started to get his feet moving well again, with a few tense points ending with a well weighted shot at the base of the tambour. He was scrambling for every point, but held his ground, using the tambour well. Macdonald took four in a row to be up 5-4, the Cambridge crowd going crazy after every point. But Lawes recovered during some long rallies, winning several points by a matter of inches. 5-all, and a Macdonald shot clps the top of the highest part of the net to land at the base of the tambour, helping to bring him to match point. Lawes just missed the dedans, finding the bandeau, bouncing out for a chase better than the door. But the serve was loose and Macdonald chipped it into the galleries to win the chase and the match. The Cambridge crowd erupted, having been biting their fingernails for the last hour. Jack Drew (Cambridge) and James Bates (Oxford) were on court next, Drew having brought along a large supporter group of friends and family. Bates started by serving demi-piques, followed up by excellent strokeplay along the main wall. When he could, Drew cut-volleyed his return of serve. Although this tactic brought up several points or short chases, enough of them went high or long allowing Bates to dominate the rally. Form the hazard end, Bates targeted Drew’s backhand, with enough cut and accuracy to leave Drew scrambling. A few mistakes and a good serve helped Drew get one game, but for the rest, Bates was cruising to a 6-1 first set. The second set wasn’t much better for Cambridge. Bates was finding the base of the tambour with clinical accuracy and picked off galleries at will. He raced through the second set without dropping a game. 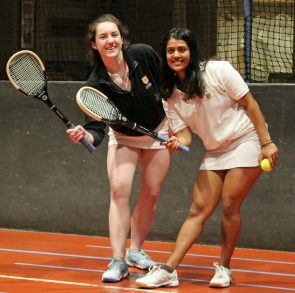 Oxford’s dominance continued into the dead rubber women’s first seed doubles. Alexandra Baranowski and Olivia Chesser for Cambridge had a steep hill to climb against Oxford’s Gerogie Willis and Lottie Hoskin. Cambridge played with Baranowski at the net, while Oxford put Hoskin up. Cambridge tired hard to target Hoskin, but even she wasn’t giving much away. The Cambridge pair volleyed well, including a dramatic effort by Baranowksi which saw her release her racket into the galleries but still won the point. Chesser played well against Willis, but the Oxford captain was far too strong. She showed enough confidence to let Hoskin play back towards the end of the set. Willis brought out the power shots in the second set and raced through to a 6-1 6-0 victory. Cambridge needed a victory in the men’s second seed match between rivals Jimmy Campbell (Cambridge) and Charlie Defries (Oxford). The galleries were packed with a crowd of around 70 people. Campbell was serving tight underarm twists, trying to keep the ball tight on the back wall and preventing Defries from forcing. Defries responded with his trademark railroads. Campbell had to work hard to cover both sides of the court, as Defries looked in calm comfort at the hazard end. The first set was very tight, each player exchanging games to 4-all. Towards the end of the set, Defries put some crucial balls into the net, including twice in a row on the return of serve, giving it to Campbell 6-4. Campbell changed shirts to begin the second set, but it too was quickly dosed in sweat. Defries was working him to both sides of the court, eventually finding the errors. Campbell started to get frustrated, and missed a few easier shots to give Defries a 4-1 lead. Not to be deterred, Campbell doubled down on his return of serve, fighting and scraping his way back into the set. But Defries was able to match him shot for shot, punishing every bad ball. Oxford won the set to draw level 6-3. Defries was fired up, shouting and celebrating after every point won. The adrenaline and momentum helped, but Campbells shots were becoming wayward, Defries racing to 3-0. Campbell didn’t give up, and tried hitting the ball harder at Defries. It worked for a while, finding the centre of the tambour and getting Defries to miss a few, making it back to 3-3. However, Defries outlasted Campbell, who was now struggling in the corners and gava away a few too many shorter chases. Tired, Campbell kept finding the net, allowing Defries to take victory to Oxford, 6-3. 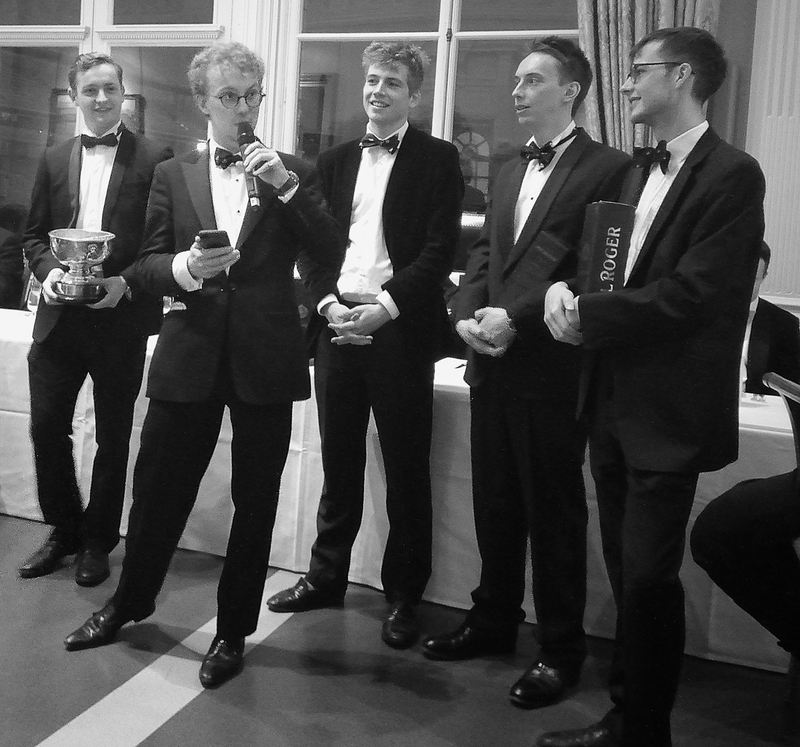 The final match of the year was between Ed Hyde (Cambridge) and Rory Giddins (Oxford). Giddins looked really calm in his retreiving, playing the walls well and made Hyde work for it. Hyde struggled to get into a good rhythm. Giddins seemed to be able to make the ball come off the tambour at any angle. Giddins ran away to a 3-0 early lead. Hyde was having to run to both sides of the court, and several times ended up outstretched sliding across the floor on his stomach. Giddins simply had an answer to everything Hyde threw at him, and could finish the rally as soon as he wanted every time Hyde game him a loose ball. Giddins raced through both sets, denying Cambridge a final victory. 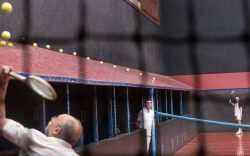 Friday would see the Women’s Singles and Men’s Doubles matches at the beautiful tennis court behind the pavilion at Lord’s Cricket Ground. First up was Elle Curzon-Green (Cambridge) against Lottie Hoskin (Oxford) in the 4th seed match. Both players started out well, exchanging a few games each. Curzon-Green figured out Hoskin’s weakness in her backhand corner, and fired several lovely shots there low over the net from any loose serves that she was given, racing up to a 4-2 lead. But Hoskin served well, getting the ball to spin and bite into Curzon-Green, levelling up the match 4-all, with the help of a few racket errors. Curzon-Green stayed calm and fired in two short chases on Hoskin’s backhand for a useful lead. Hoskin tried hard to equalise, getting a surprise chase after Curzon-Green charged up the court to swing and miss everything. Curzon-Green remained calm, hit two beautiful cross-court return of serves to win the chases and took the first set to Cambridge with a failed backhand volley from Hoskin. The second set would be very close, with Curzon-Green benefiting from loud cheering from the CURTC Ladies Morning girls in the dedans. Once again, she found herself up with a 4-2 lead, but then started to overhit her serve under the pressure. Hoskin took advantage to bring it back to 4-all again. After a lobbed shot to the dedans, Hoskin found herself 4-5 down, and played some of the best tennis of the match so far; with Curzon-Green unable to get shots from the grille corner, Hoskin took the initiative and the set 6-5. The third set was all to play for. Curzon-Green took an early lead, helped by an untimely double fault and some good cross court shots. The rallies were getting long, neither girl wanted to lose. Hoskin fought back well; the two of them locked together at 2-all, 3-all and 4-all. Both of them were having to work hard for every point. 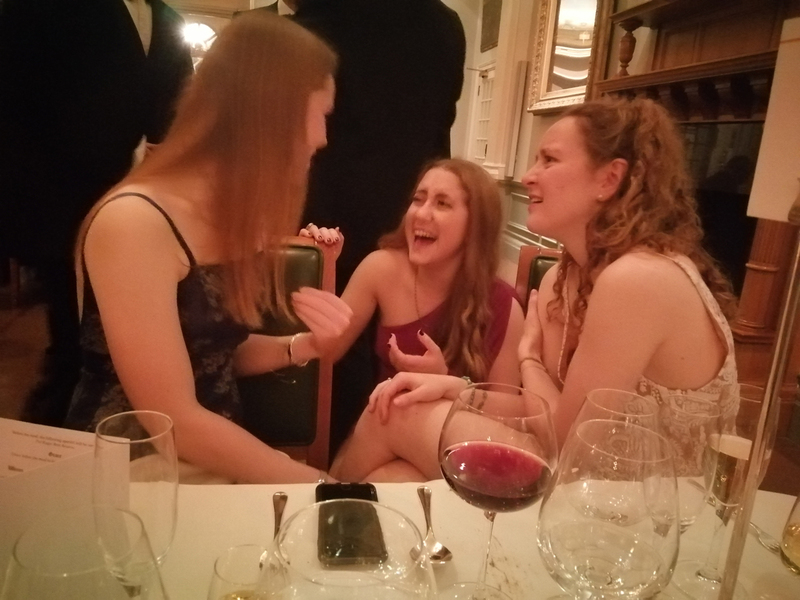 The earlier chatter in the dedans had transformed to nervous silence. Hoskin ran through the ninth game for a crucial 5-4 lead, Curzon-Green buckled down, chased after everything and got herself to good chases low into the corners, which put the set at 5-5, final game. Hoskin started with a good serve that cramped Curzon-Green, but then made a couple of racket errors that gave Curzon-Green two match points. Hoskin fired the first one at the grille, and Curzon-Green couldn’t get it back. But on the next point, it looked all over when Curzon-Green hit hard and low into Hoskin’s backhand corner. Desparate, she threw everything she had at it, which was just enough to roll the ball up onto the penthouse, over the net, and down for a hazard chase. Curzon-Green, shocked, missed what could have been a winning shot. Hoskin stayed calm at the hazard end, eventually getting a short enough chase to steal the match for Oxford. 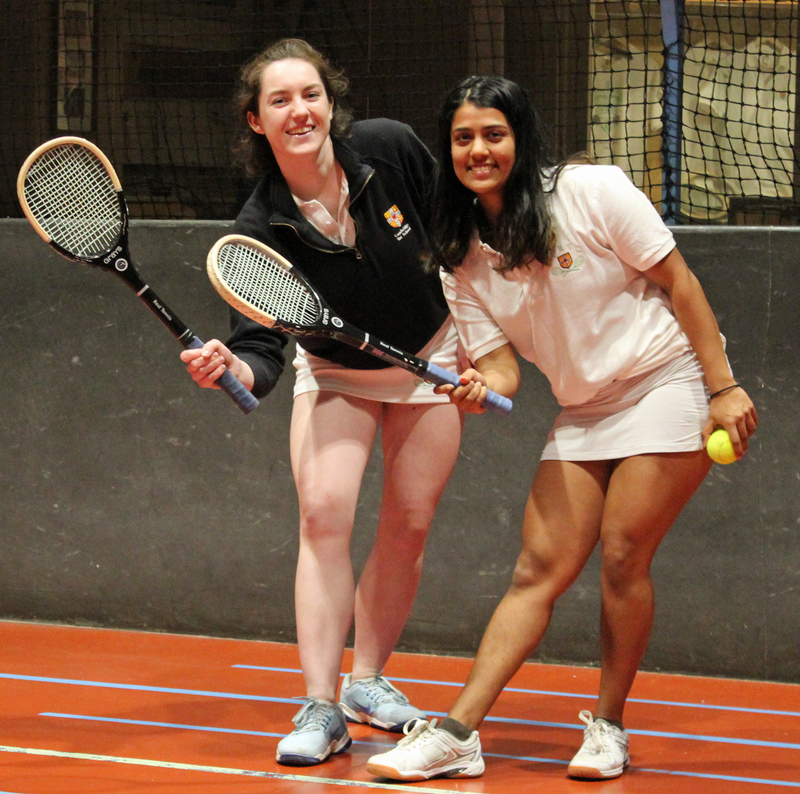 Sophia Lewis (Cambridge) was out for revenge in the Women’s 3rd seed match against Lucinda Maxwell (Oxford). Both girls had a nervous start on the serve; Lewis with a side-wall serve and Maxwell with a lawn tennis serve. The match started going back and forth between them, both playing well at the service end. Maxwell was able to find and hit her targets, whereas Lewis placed heavy cut on the ball to trouble Maxwell off the back wall. After Maxwell won the fifth game with five deuces thanks to an untimely double fault. Maxwell tried some underarm twist serves, but Lewis was able to put them away into the corners with ease. But at 3-4 down, something clicked for Lewis. She started moving her feet well, winning a lot of short chases and raced through the rest of the set to win 6-4. Lewis continued well into the second set. She was moving her feet well and was able to cover most of Maxwell’s shots. Though she dropped the first game of the second set, Lewis won the next six without looking troubled. Her backhand volleys all seemed to find the tambour, and she wasn’t troubled by Maxwell’s serve. Cambridge had levelled up the match. It was now the turn of the guys, with the second seed doubles match. Jimmy Campbell and Ivo Macdonald (Cambridge) faced off against Charlie Defries and James Bates (Oxford). 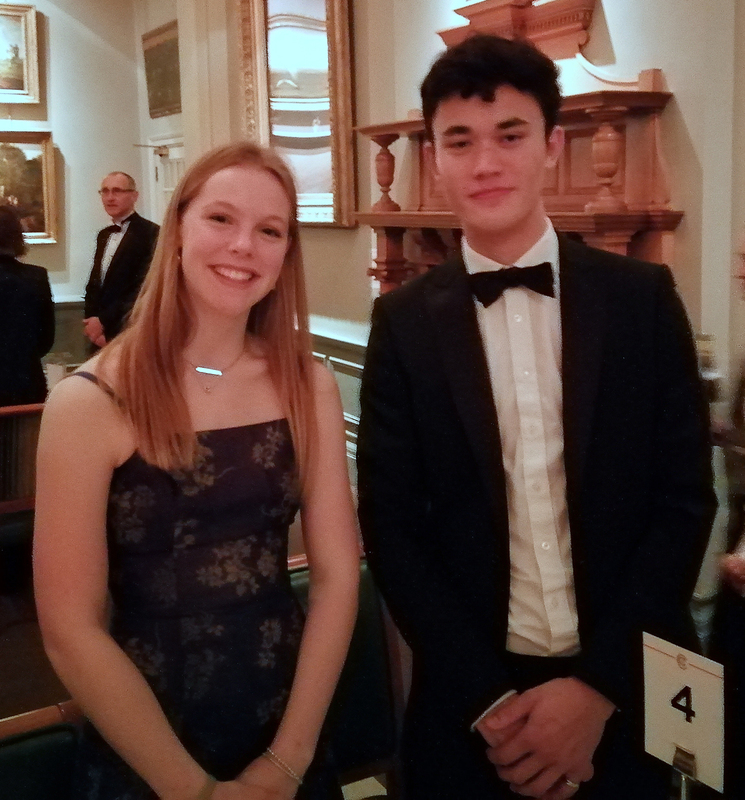 Cambridge played with Macdonald at the net for every point, with Campbell covering the back of the court, whereas the Oxford pair shared the load equally. The first set saw Campbell serving tight demi-piques to Defries, who responded with his idiosyncratic railroads. Macdonald was showing off his rackets serves, and Bates was showing he could spin it both ways from the serve. Cambridge raced to a 3-0, 40-15 lead, with Campbell covering well and directing Macdonald around the court via loud shouting. A couple of times, he took a shot from the penthouse that Macdonald was lining up to take. Finally, Oxford won a chase, and Campbell started to put some into the net, letting Oxford back into the game, bringing it to 4-all. 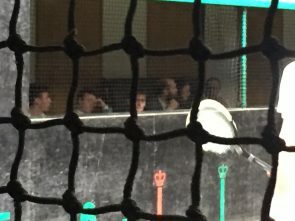 A cruicial point followed in the next game, where a bewildered Campbell looked to leave a hazard chase, but the marker called a stroke, giving the game to Oxford, who would go on to take the set 6-4. The second set began with the same receivers. Oxford had the momentum and kept pushing on with it. Campbell was getting frustrated, with a lot finding the net. Macdonald was doing well at the net, but Defries and Bates were too strong. Both started hitting the ball a lot harder, and were finding their targets. They won six games on the trot to take the set 6-1. Cambridge had to roll the dice, so opted to switch receivers; Macdonald now taking on Defries’ railroads. Slowly, the momentum in the match began to shift. Campbell started to work on Defries, illiciting enough errors on the volley through good ball placement. By the end of the set, Cambridge were volleying really well, and wrapped it up quickly, from 4-2 to 6-3 in rapid time. However, cruicially, the Cambridge pair found themselves at the service end at the end of the set, meaning that Oxford were able to return to the original receiving pairings for the start of the fourth set. There was a lot of excellent long rallies along the main wall, with Campbell trying as hard as he could to break through Defries’ defences. However, Campbell was serving a little looser, and Defries was able to get enough on the force to get a few dedans as well. Defries was strong enough to work to a 4-1 lead. Feeling the match slip away from him, Campbell was tiring. He kept trying to push Defries and Bates on the tambour, but lost a chance to bring it to 3-4 as a lucky bounce had the ball jammed right on the side wall. Oxford now had a 5-2 lead. Some great net volleys from Macdonald brought it back to 4-5, but a Campbell shot which just missed the winning gallery was punished for a short chase. Macdonald couldn’t get enough cut on the ball to beat it, letting Oxford win the set 6-4, taking an early and cruicial lead in the men’s Varsity. 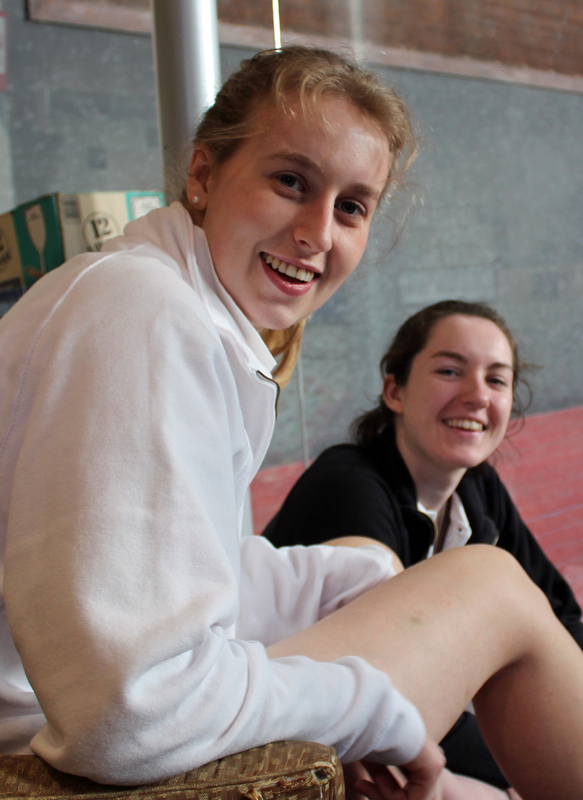 The women were back on court again, with captain Alexandra Baranowski (Cambridge) against Natalie Barber (Oxford). On paper, Barber was 17 handicap points better, meaning Baranowski was a heavy underdog. Baranowski was predominantely serving either a high bobble or a low high-drop serve, whereas Barber mixed and matched. At first, Barber was struggling with her first serve, but her second was strong enough to make Baranowski work hard. However, Baranowski couldn’t seem to trouble Barber, who kept calm and placed the ball at will. Barber kept the ball low to the ground, winning several points from unsuccessful half volleys near Baranowski’s ankles. Towards the end of the match, she started to figure out how to deal with Barber’s poorer serves, but there were enough good serves that it couldn’t make a difference. Baranowski got her best chance at the end of the first set, as Barber clipped the wall around the grille twice, and had a ball come out of the winning gallery for a hazard chase. However, Baranowski could only win one game on the way to a 6-1 6-0 victory to Oxford. The first seed match was even more one-sided. Oxford captain Georgie Willis was leagues above Cambridge’s Olivia Chesser. Everything about her game was sheer class. Chesser could only manage underhand volley return of serves, which sat up for Willis to destroy. She alternated her shots; one winner under the grille, another under the winning gallery. Chesser got a couple of good hard forces in, Willis wouldn’t let any game go to deuce, finishing the game quickly with a very comfortable 6-0 6-0 victory for Oxford. The last match of the day was the men’s first seed doubles. 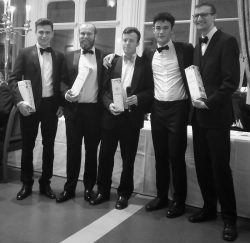 It saw Ed Hyde and Jack Drew for Cambridge against Rory Giddins and Harry Lawes for Oxford. The Oxford pair operated a fairly conventional doubles strategy, with Lawes at the net every game at the service end. But Cambridge hatched a unique strategy. At the hazard end, Drew played up defending the winning gallery, while Hyde played both the tambour and the back of the court as though it were singles. The first set saw Hyde serving to Giddins. The first game saw one of the highlight rallies of the match, as Drew scampered backwards, hitting the ball behind his back, the rally continuing until Hyde clobbered it into the net. Hyde was able to pick off Lawes at the net from Giddin’s giraffe serves well, who was mishitting more volleys than he was making. Hyde was scampering around the court well, taking Cambridge to a good 5-2 lead. But Lawes started to settle and pick off more volleys, meaning Cambridge lost their reliable strategy. The remainder of the set saw some long rallies between Hyde and Giddins. A combination of bad luck and good shots from Giddins led to an Oxford comeback, eventually taking the set off Cambridge with an excellent Giddins return of serve. In the second set, the Oxford pair targeted Drew a little, giving away a few key points on the volley. The Cambridge strategy of playing like it was singles was starting to stretch, with Hyde scraping for many shots. The shining hope for Cambridge was Drew’s return of serve, because although some were wayward, there were enough main wall dedans or cut balls into the corner to keep it competitive. Lawes volleyed well, and Oxford took four games in a row to take the set 6-2. Cambridge needed to change things up, so changed the receivers going into the third set. Drew held his own against Giddins’ giraffe serves, but Hyde was still taking most of the action. Giddins remainded solid, finding cracks in Hyde’s defenses. Hyde was clearly showing signs of tiredness, with Oxford racing ahead to 5-1. The Cambridge pair pushed two tight games to deuce utilising the base of the tambour effectively. They were even up 40-15 in the following games, though they mishit key shots to cede the match to Oxford 6-3. Oxford took home the honours at the 2019 Varsity Seconds match in Cambridge last weekend. Play started on Friday afternoon with a win to Alex Reyner (Oxford), whose overhead lawn tennis serves had a strange knack of striking the back penthouse and falling near the fault line by the grille, which Cameron Roker (Cambridge) struggled to deal with. By contrast, Isobel Lewis’s (Oxford) overhead serve spun out, cramping into Jacqueline Siu (Cambridge). Jacqueline had some early chances and benefited from the support of divided loyalties from Isobel’s family in the dedans, but Isobel kept cool to take the match. Oxford also got off to an excellent start in the Men’s match, as Ben Barber (Oxford) was able to play the ball all over the court and out of the reach of Kevin Heffernan (Cambridge). Cambridge could hardly even catch a break in the doubles. 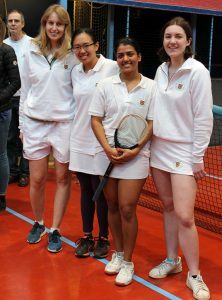 The strategy of playing Rosie Taylor (Cambridge) at the net for the first time didn’t pay off for the Giraffe Club Cup finalists, as Taylor and Siu were beaten comfortably by Jenny Jones (Oxford) and Lewis. Finally, in the Women’s first seed doubles did Cambridge start to look competitive. 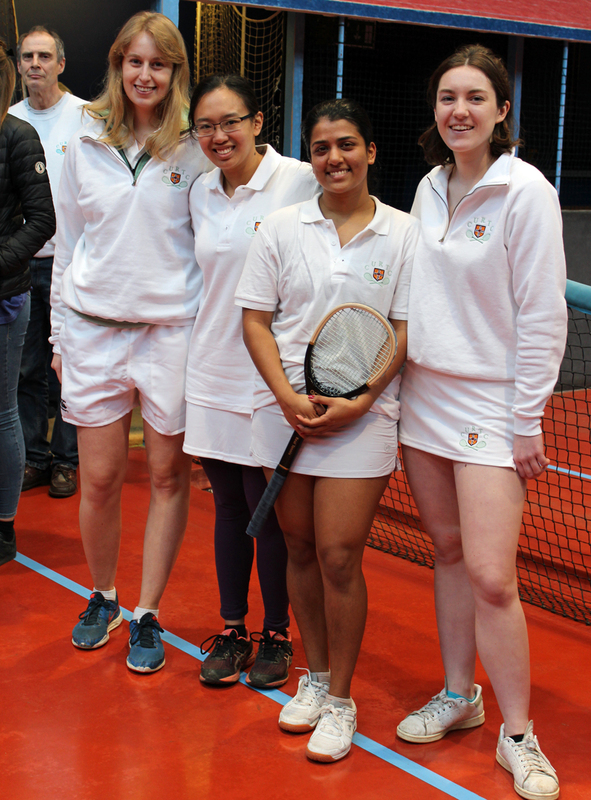 Roker and Krittika d’Silva (Cambridge) were running neck and neck with Reyner and Olivia Becher (Oxford), before the dark blue pair pulled out a decisive lead at 7-5. But d’Silva and Roker were determined not to let Cambridge down, saving an impressive seven match points (including a dedans on chase a yard) before finally succumbing 6-8. Cambridge had another glimmer of hope in the Men’s first seed singles, as Aaron Wienkers (Cambridge) found some fight against Freddie Freeman (Oxford), but despite some impressive tennis, lost 4-6 4-6. 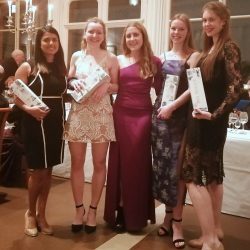 Oxford started the second day having already secured the Women’s trophy, but Rosie Taylor showed that there was still fight in the light blues. Her cross hairs were firmly set on the dedans, and threatened to take a set from Jenny Jones, but Jones held strong to win 6-2 6-4. The Men’s doubles matches followed, both ending with a 8-3 Oxford victory, owing to a fast start by both pairs. Cambridge seemed to settle later in the matches, but by that time it was too late. With three matches to go, Cambridge were looking to salvage some pride, Ed Tillson (Cambridge) fought hard against Hugo Shipsey (Oxford) but was playing with a heavily strapped wrist after a recent bike-related incident. Ben Geytenbeek (Cambridge) pushed Ivo Trice (Oxford) as far as he could, but Trice had pinpoint accuracy in placing the ball in the corners for a few too many short chases. Going into the last match, it was all on the Women’s captain, Krittika d’Silva, to get something for Cambridge. She went on to play the match of her life, retrieving almost everything and hitting some glorious backhand volleys to the base of the tambour, a shot that she later claimed to have never played before. 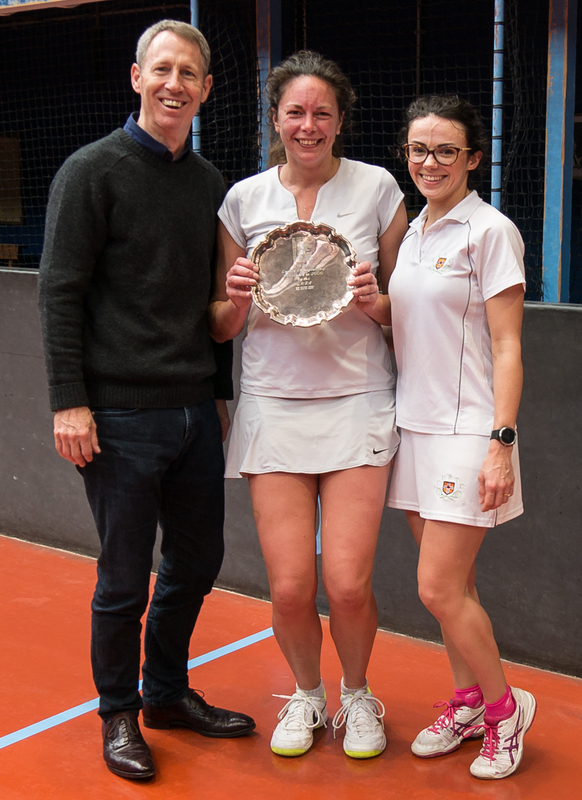 She outclassed her opponent, Olivia Becher (Oxford), and played almost faultlessly, winning 6-0 6-0, the only match for Cambridge, and the only double-bagel of the weekend. 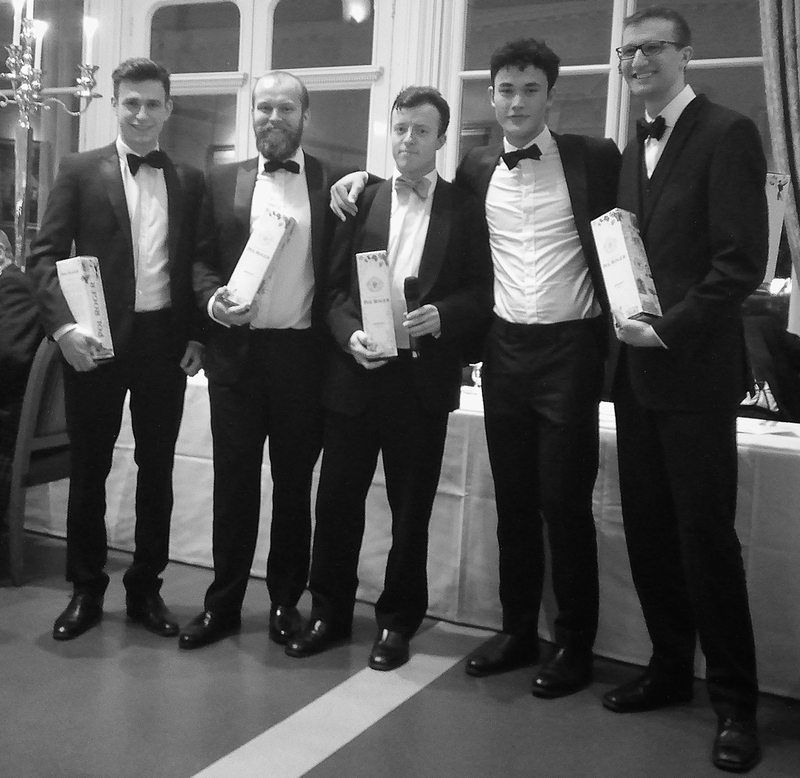 Huge congratulations to the Oxford team and their pro, Craig Greenhalgh, on their victory. 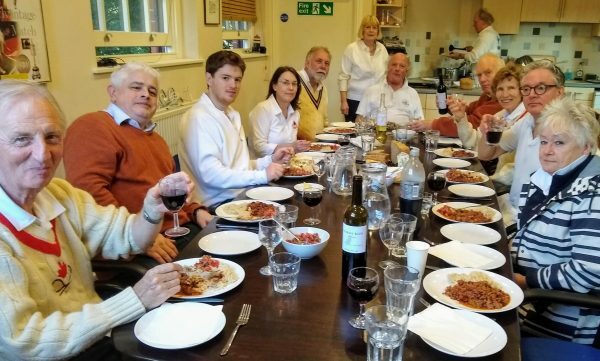 Special thanks to the Kees and Peter for their tireless marking, to Louise Ludekens for her excellent lunch on Saturday and to all of the senior members who brought cakes and nibbles for the players. 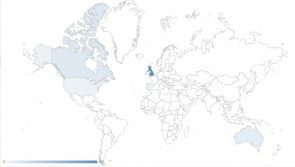 Further thanks to Christie Marrian and Paul Brown for their work streaming the event online to viewers and supporters on at least four continents**, and to all the students who had a turn on the commentary microphones. Attention now turns to the First team, who are in action at Lord’s this weekend. …but chef Guy Kirk pulls one back for the team in the Club Room Kitchen. 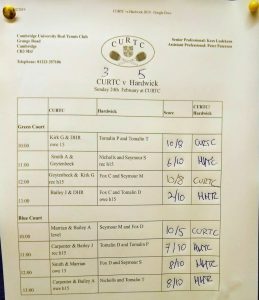 On an almost as sunny (but a bit warmer) day as our visit to Hardwick last year, our visitors were sufficiently generous to not take full advantage of some CURTC on-court lapses as we recovered from 3-0 down in the first match and all but blew 7-1 and 5-3 leads in the other two matches CURTC won. There was some excellent tennis (admittedly mixed with some of the usual dross) and mighty smiting from which my hand (left, oddly enough) is still recovering. 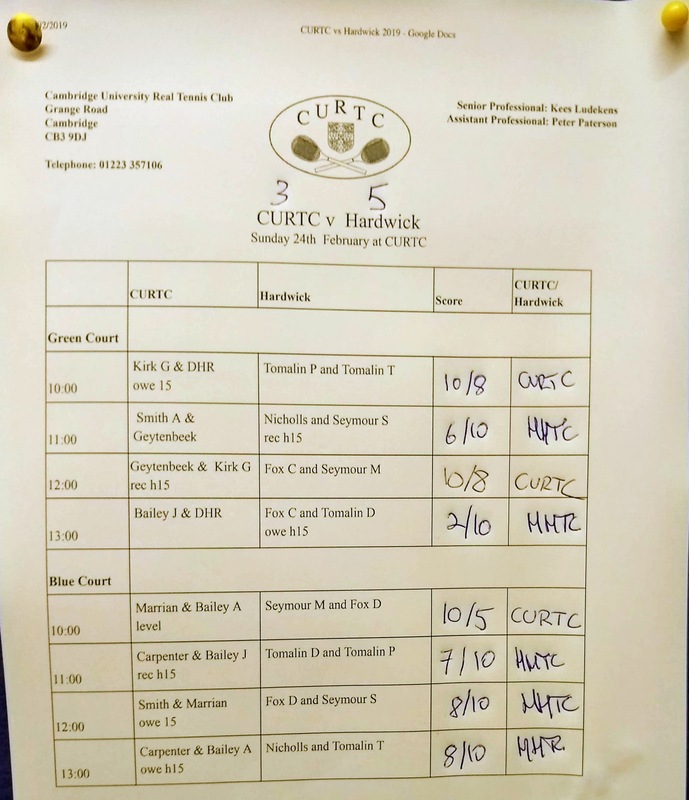 When the dust settled, it was a 5-3 Hardwick victory with CURTC’s blushes being spared largely by Guy winning both his matches. So it was up to the Club Room to be entertained by James and Charlie (see below) and excellent chilli washed down with some perfectly paired rouge from the Iberian peninsula. 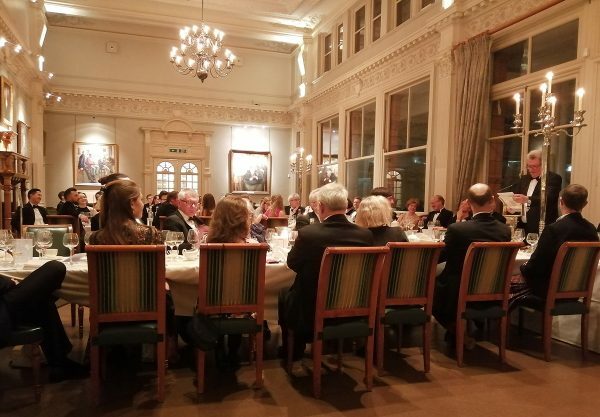 We look forward to our return visit next February! 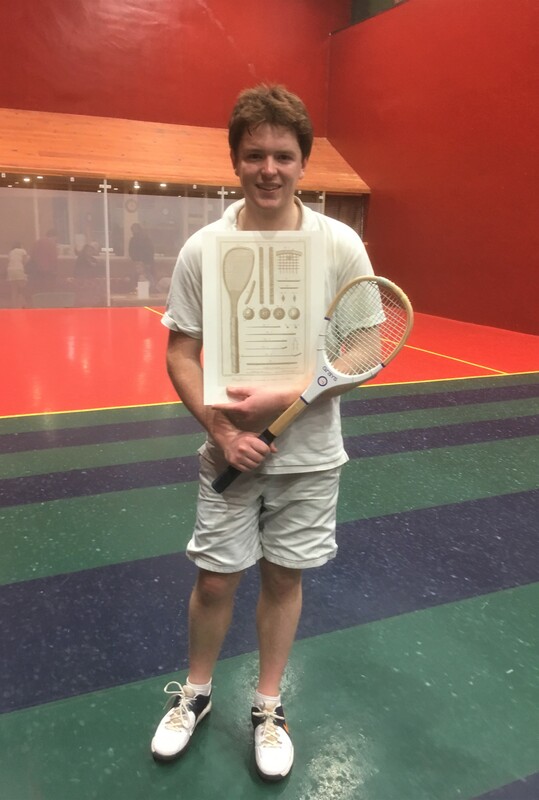 Congratulations to James Thomas who came out top of the 20s Round Robin on Sunday, beating Charlie in a 60+ minute pro set epic. 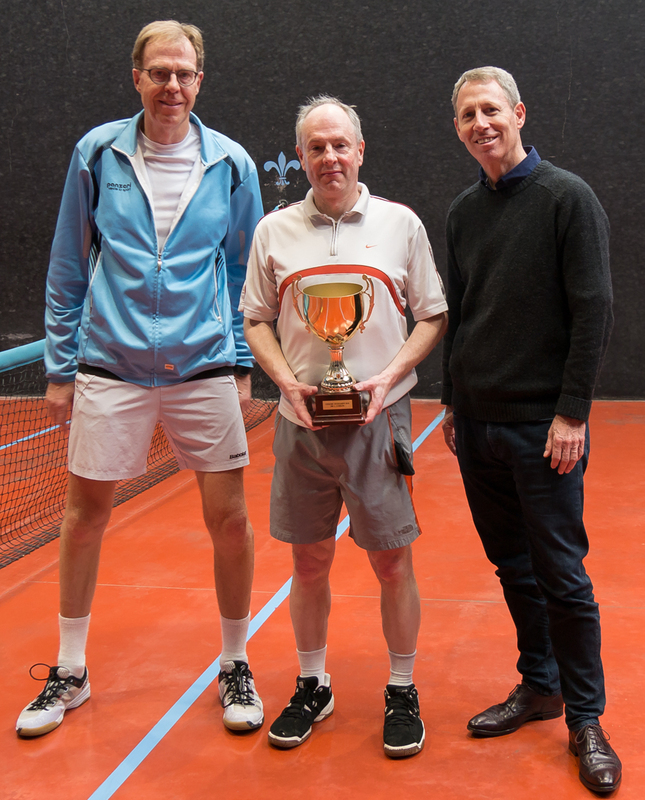 The Finals Day (Saturday, March 16th, sponsored by Hannay Robertson Financial Planning) roster is now complete and will include Michael Firth & Ben Geytenbeek (50s), Andy Smith & Mark Perriton (30s) and Jim Ludekens & Vix Harvey (40s) along with the previously announced winners. The CURTC Ladies Championship is at the Semi-Final stage and it looks as if Vix is may be rather busy on the 16th….